This recipe can be found here. It is also located on page 21 of the August/September 2011 issue of Simple&Delicious. I enjoyed this meal, though I think I would have LOVED it if I had made it with a roast of some kind. I guess I am not a huge fan or brisket. 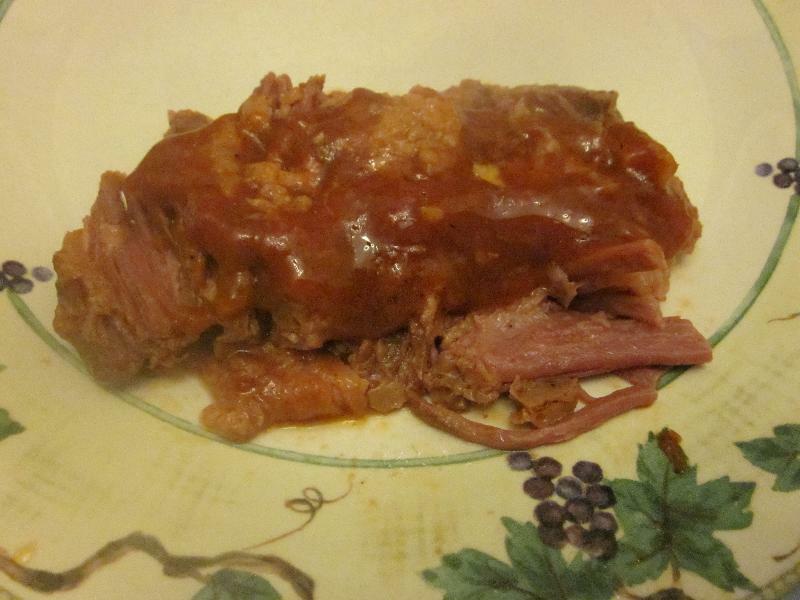 Cut the brisket in half and place it in a crock pot. In a large bowl, combine the tomatoes, onion, vinegar, Worcestershire sauce, garlic, brown sugar, celery seed, pepper, salt, cumin and the Liquid Smoke. Pour the mixture over the beef. Cover and cook on low for 8-10 hours or until the meat is tender. Remove the meat and keep it warm. In a large saucepan, combine the cornstarch and the water until it is smooth. Gradually stir in 4 cups of the cooking liquid. Bring the mixture to a boil and cook and stir for 2 minutes or until thickened. Slice the brisket across the grain and serve with the gravy.